After posting about Stair Treads several months ago, Chris Dixon (at Franklin Ellis Architects) commented that Railing balusters could be used as treads on Stairs. This method works particularly well for small no-slip treads that essentially sit on top of the Stair. To turn a Railing into a tread, add a single Baluster per Tread and remove all other Railing components from the family. Then, modify a Baluster family to be a tread. This is probably the trickiest part, since a Baluster is kind of the opposite of a tread. 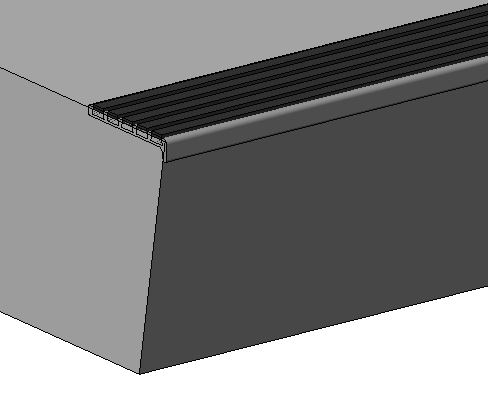 I also created a framework to adjust the Stair Tread Depth so that the tread would always have the correct offset from the face of the step. For some reason, the Front of the baluster is oriented towards the top of the Stair (which seems backwards). 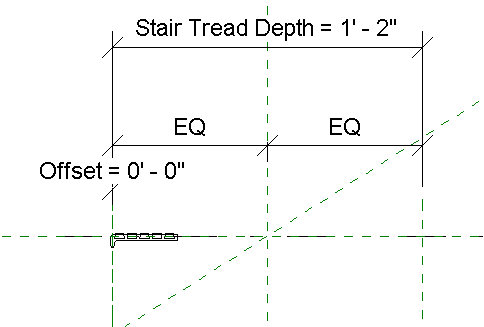 The main advantage to using a Railing to create Treads is that you do not have to individually place treads on Stairs. And you also don’t have to worry about losing a tread, since they are all bundled together in a single Railing. If the Railing does get deleted accidentally, it would take very little time to recreate it. 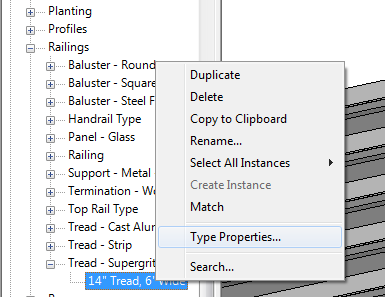 My least favorite aspect, however, is that once in the project you cannot individually select the Baluster Tread family in order to change its Type Properties. 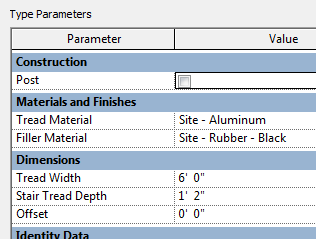 To do this, you must use the Project Browser and scroll down to the nested Baluster families and then right click on the specific type. Also, the Baluster Type Properties do need to be manually coordinated with the Stair. So if the Stair tread depth or width changes, you will have to go and modify the Baluster. 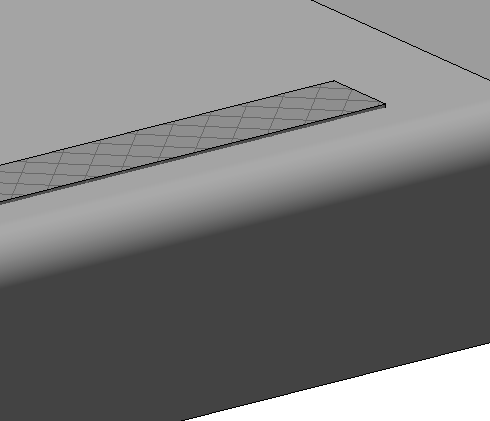 For proof of concept, I made three types of treads: a cast metal type, an abrasive filler type, and a simple strip. They are all almost entirely embedded into the stair. 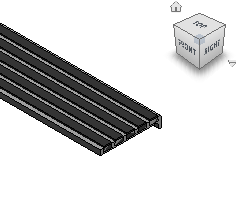 If you want to check them out, I’ve uploaded a project file with these three Stairs and Railings. Hahaha. Thanks? I’ll take that as a compliment, I guess. When it is at the front of the step, then it is also considered a nosing in the US. But we frequently just refer to them as no-slip treads.